When a customer questions what you have taken out of their filter, give them soot measurements to the gram with the EvacuBlast 9003 DPF Cleaning Soot Scale! Simply place the filter on the scale before cleaning, note weight. Clean the filter using the EvacuBlast Cleaning Equipment. Place the filter back on the scale. You now have your detailed read out of what that specific DPF was holding in its core. This is very simple but a very effective way of finding out what comes out of each filter. Overall Dims 34" x 16" x 24"
I am doing some research work into DPF cleaning systems for diesel engines. The kind of solutions you are providing are really good. I got a lot of information from your website. Thanks for that. I just need some data on soot measurements in grams. Like what amount of soot is removed per cleaning. I have already found out that one should get the DPF cleaned after about 200,000 miles. I need to know how much this corresponds to in amount of soot (in grams etc). I would like to know how much the pdf scale is? That is great! If you purchased the Blast Cabinet it may be time for a new filter! 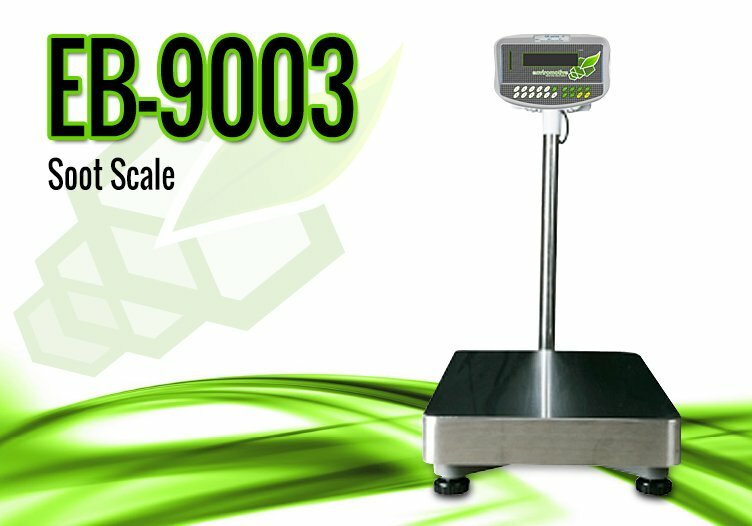 Hello, could you send me the price for the scale to weigh DPF’s? We may be buying one in the next couple of days. Please call today 714/778-5155 for pricing!